The war with the Dominion continues three months after the loss of DS9, and things do not seem to be going well for the Federation. 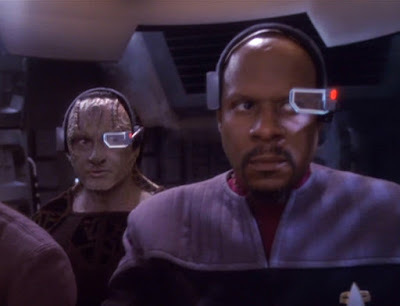 On the re-occupied Terok Nor, Kira and Odo navigate the delicate political balance to keep Bajor safe until Starfleet can reclaim the station. Meanwhile, Sisko and the rest of his crew embark and a dangerous but vital mission for the war effort. They took their sweet time, but Google finally got their product to market. 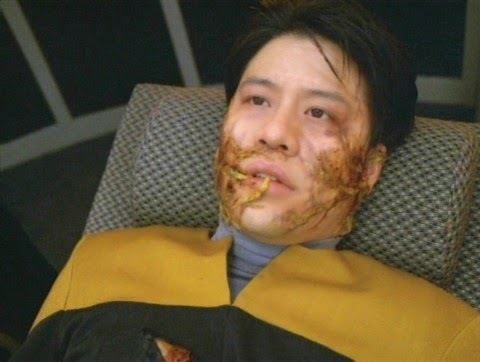 Voyager has shown a steady improvement since Season 2, but it hasn't found its "break out" moment, yet. Season 3 opens with a run of 12 episodes that tick in at a 6 or above on our scale. The back half of the season suffers a bit of a back slide, though, with a rough stretch in episodes 13 through 20. Then it finishes rather strongly with 4 out of 6 above average shows. So what are the trends? What's changed, if anything? 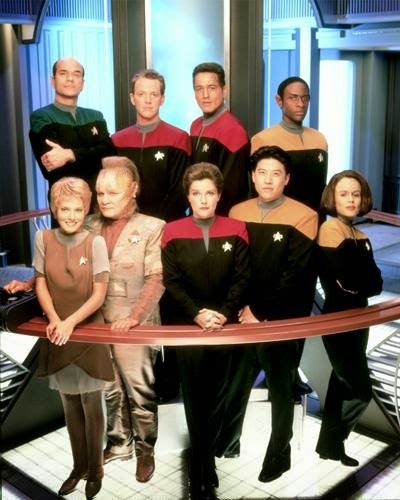 Which of these characters is standing on the "Eject Warp Core" hatch? The day Voyager has been dreading has arrived: they have arrived at the border of Borg space. 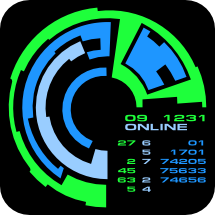 Shockingly, the Borg are preoccupied with something else, a new species powerful enough to threaten their very existence. Captain Janeway devises a daring plan: help the Borg defeat this enemy in exchange for safe passage. Some days, it's good to not be a Method actor. 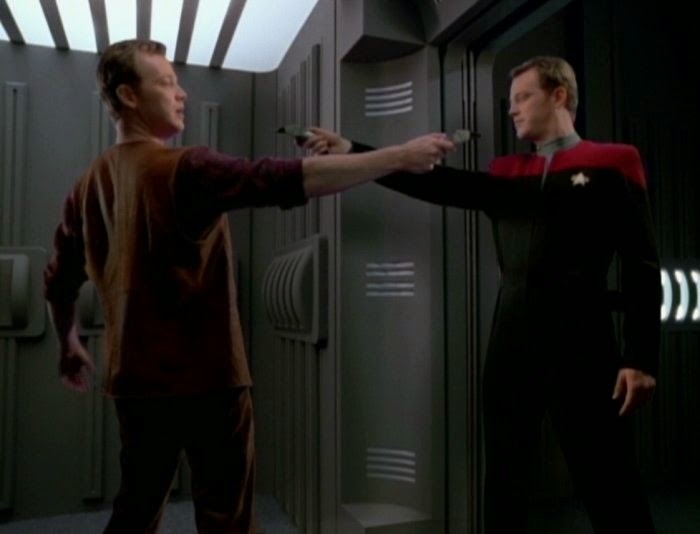 Tom and B'Elanna play a mysterious holonovel depicting a mutinay against Captain Janeway. Things go from mysterious to dangerous when an old foe crops up near the end. "Well, they say if you travel far enough you will eventually meet yourself. Having experienced that... it's not something I would care to repeat."